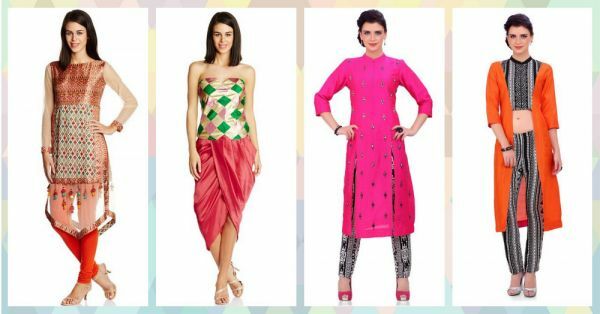 7 Stylish Ways To Give Your Indian Wear A Modern Twist! The best thing about fashion is that there are no rules. While trends may come and go, one can always tweak those trends to create his or her unique style. We sure love our traditional Indian wear and have them in plenty but sometimes wearing the same silhouette over and over again does get a little monotonous. Why not curve away from the norm for a change, give our Indian wear a twist and create fab new looks that are bound to make a statement anywhere you go? It’s a new era, so take some sartorial risks, reimagine and make #IndiaModern. Ready? The sari is, hands down, the most elegant and gorgeous piece of clothing any woman can own. Give your sari a modern twist by replacing the blouse with a cute cropped top. Not only do these come in a number of different designs and colours but they also blend seamlessly with the classic saree. The dhoti pant and skirt trend has been doing the rounds lately and everyone seems to be loving them. Our B-town favourites Deepika and Athiya Shetty have been spotted time and again donning this trend and looking gorgeous. Pair a solid coloured dhoti pant or skirt with a colorful corset like this one we stumbled upon at Amazon Fashion's India Modern range. Love!! 3. Co-ordinate like a boss! If there is any outfit we can’t get enough of, it’s the co-ord set. Matching separates have something about them that they make almost anyone look twice as stylish with zero effort. Why not try kurta separates this time? Take inspiration from this gorgeous kurta co-ord set we can’t wait to get our hands on! If Indie-cool is your look, then we’re pretty sure you have a couple to bandhgala jackets in your closet. 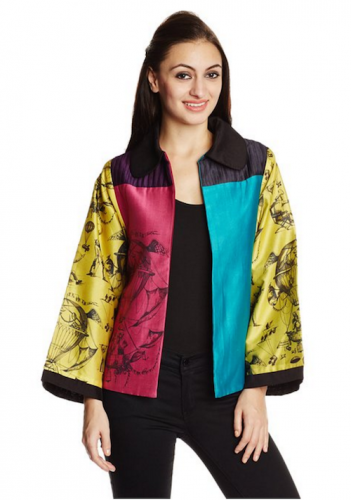 Elevate your look by replacing the traditional ethnic jacket with a colourful jacket with quirky prints. Throw it over your khadi kurta or cotton pants and get ready to turn a few heads! Indian wear often comes in a very flowy silhouette which might sometimes be difficult to manage...especially if you have a busy day. Don’t let heavy dupattas distract you from doing your thing. Pair a gorgeous peplum top with a matching lehenga skirt. Go that fabulous extra mile by balancing out flowy skirts with a structured top. The modern Indian woman plays by her own rules and does a pretty awesome job while she’s at it. Rethink and redesign the traditional kurta by playing around with slits in front instead of the sides. This style works well as office wear too...so up your office style by donning a modern kurta with front facing slits next time.